The antique yacht Freedom floated in the Hudson River behind Chelsea Piers, promising good food and expensive tequila. Sister ship to the presidential yacht Sequoia, Freedom is a 104-foot fantail motor yacht built by Mathis Yacht Building Co., of Camden, New Jersey, in 1926. The work of famed boat designer John Trumpy, the craft was completely restored in 2009 and can sleep 10 guests in 5 state rooms. 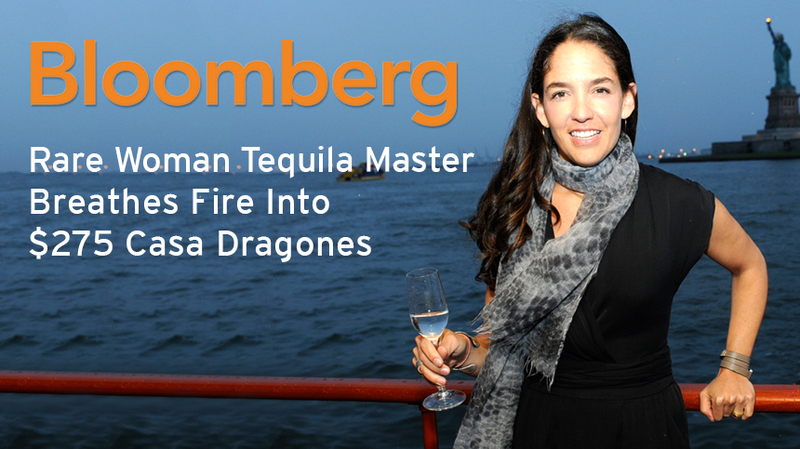 One of its co-owners is Bob Pittman, chairman of media and entertainment platforms at Clear Channel Communications Inc. and — much more to the point — co-founder of Casa Dragones tequila. I was on this nautical adventure for a tasting of Casa Dragones, a fairly recent entry into the high-end category occupied by brands such as Don Julio 1942, Gran Patron Burdeos and Partida Elegante. These can sell for as much as $500 a bottle. Casa Dragones retails for $275 and can be found at Crush and Astor Wines. As blue-point oysters disappeared, she spoke about her entry into this macho enclave. The platinum-colored spirit is officially designated as a 100 percent blue agave joven, or young, tequila. It’s produced in small batches in Tequila, Mexico. The name comes from a small cavalry unit called the Dragones that “started one of the movements that eventually led to Mexican independence,” according to company literature. In the glass, its aroma combines floral and citrus. The first sip tastes of vanilla and spicy fruit, with a finish that’s clean and warm with a super-smooth throat feel. As the Freedom chugged its way down the Hudson, the Statue of Liberty with her torch held high above her head was an inspiring sight. Mimicking her stately pose with a Riedel glass of Casa Dragones in my hand, I raised a toast to the colossal queen of New York Harbor. “To your huddled masses. You would love this stuff.” Read more here.